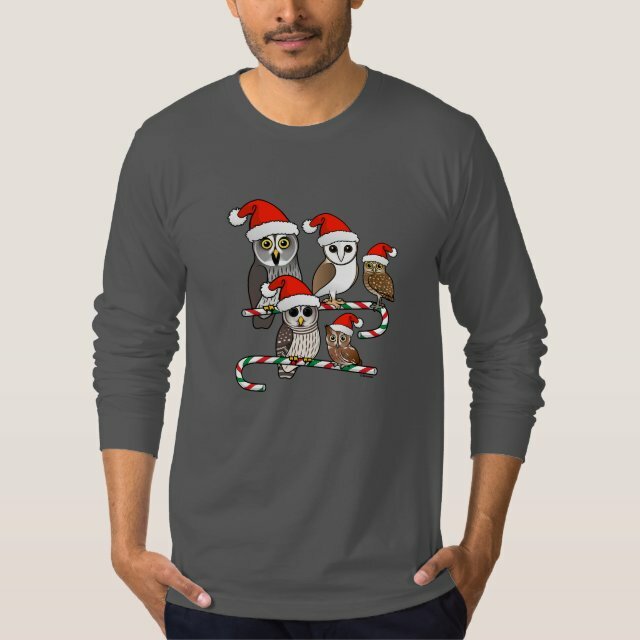 Five cute Birdorable owls sport Santa Claus hats and perch upon candy canes. What a darling design for the holidays! You can totally customize this gift! Move the design around, change the background color or style, add your own text or images -- make it your own! Back to basics never looked better. The long sleeve version of this top-selling tee by American Apparel is a versatile must-have for every man's wardrobe. Wear it to work or play, or dress it up with a sports coat. Select a design from our marketplace or customize it to make it uniquely yours!